The Treasure Principle is a short, little, unassuming book, that doesn’t appear to jump out to you in any special way. I picked this short volume by Randy Alcorn up at a book giveaway; it’s been on my reading list for months. When I finally sat down to read it, it was only because it was short and looked easy. But this book contains principles that will guide you for the rest of your life. 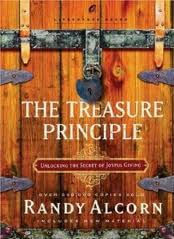 In the book, Alcorn outlines six key points of the Treasure Principle. The first is “God owns everything; I’m his money manager.” In this section, Alcorn explains how we are stewards of God’s resources, and how we must not hoard them for ourselves but use them wisely and pass them along. He then brings up the second point, “My heart goes where I put God’s money”, pointing out that where we give is where our heart will be. Giving to others will get us involved in their ministry and connect us; we will want to continue giving money to them. A crucial and fundamental truth is pointed out in point three, which is, “Heaven is my home, not earth.” Alcorn gives us an eternal perspective on our life, which brings us to point four. It is not especially specific to giving but rather to our entire life: “We should live for the dot, not for the line.” Alcorn compares our entire life on earth to a tiny dot, and heaven as a huge line stretching out past this dot. Storing up treasures on earth is like living for the dot, an unwise decision when we’ve got the line ahead of us. The sixth point in Alcorn’s book is, “God prospers me not to raise my standard of living, but to raise my standard of giving,” also very important. He asks us why we expect that the blessings God gives us are meant to be selfishly kept to ourselves. If we expect our giving to give us treasures on earth, then we’re giving for totally the wrong reasons, in violation of Scripture. Alcorn encourages us to share our wealth with others. “All very well and good,” you might ask, “but how can I use all this stuff practically?” Thankfully, the book doesn’t end there. 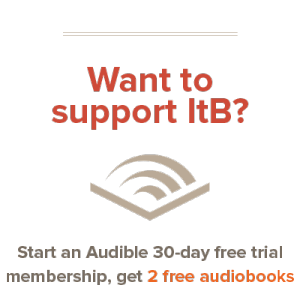 Alcorn finishes the book with a sprinkling of personal stories, a thirty-one question study on giving for meditation, and specific practical applications of the Treasure principle. The Treasure Principle is incredibly well-written and easy to understand. I sat down to read it when I was bored, pretty much, and couldn’t get up until I’d finished it. It’s not long, and I highly encourage all of you to read it. I know for me personally it’s changed my attitude towards giving, but more importantly, it’s changed my attitude towards what I feel is necessary for me to keep.